So I’ve recently got a nice new wooden table, and wanted to get something to make it nicer to play on. Now I own playmats for some games, and am familiar with the larger scale playmats you can get for wargames etc. Indeed, when I look around the internet there are absolutely loads of designs for 3’x3’ battlemats with terrain or space on. What I’m looking for, is one of those, but just plain black. Or blue. To use for general gaming. Yet either my google-fu is failing me, or they genuinely don’t exist. Anyone else bought something similar? Preferably from a store in the UK (or Europe at least)? 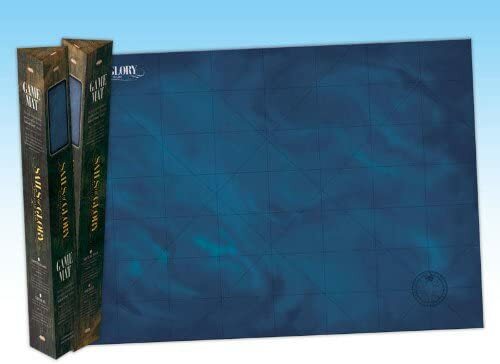 Ultimate Guard have a set of plain playmats - I believe there’s a 60cm square and 80cm square version (called the playmat 60 and playmat 80 imaginatively enough). If you’re in Canada…well specifically Ontario, you can go to Lens Mills and buy basic neoprene for fairly cheap. I’ve been thinking about doing it myself actually. If you’re hunting outside the boardgaming world, be aware that “neoprene” is technically just the rubbery stuff in the middle, and the bonded fabric covering (often lycra or similar) is not always present. I got a 4 foot square custom print from inked gaming in the states. It was really expensive and I got hit by customs on top. Fortunately a black Friday sale effectively made the postage free. Honestly though, no regrets. I still smile when I see it after 2 years. Possibly just being happy with my mat rather than being constructive. To turn that around patriot games was the one I looked at for UK based retailers, alas no 4x4 for me, but the 3x3 is in stock. I got an album cover on mine, it’s still really good at not detracting from the game board. If you end up buying a custom one, you could go away from plain and find it still useful for general gaming. At the very least if it was cheaper to get a green field styled one I’d consider that as it won’t detract too much either. So eventually I picked up a mat from here: http://tablewar.uk/ as they’re 40% off at the moment in a closing down sale. Not completely plain, but picked up the dungeon floor one which is generic and subdued enough to be suitable for any sort of gaming. Very happy with it.